Cloaks like this were worn during the Middle Ages and the Renaissance. Originals can be seen in illuminated manuscripts and on stained glass windows. 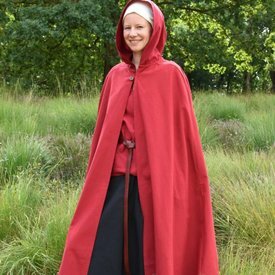 The cloak is made of cotton and suitable for spring, summer and early autumn. 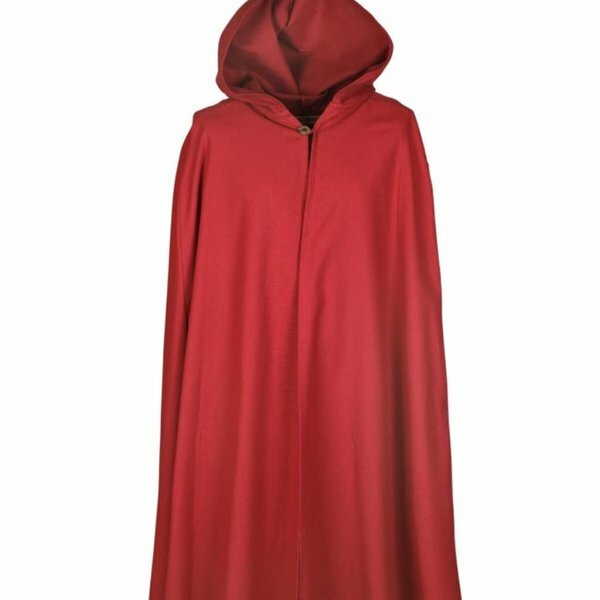 The cloak has a large hood and you can fasten it with a wooden button. With colder weather you can wear a chaperon for extra heat. The cloak can be worn by both men and women. 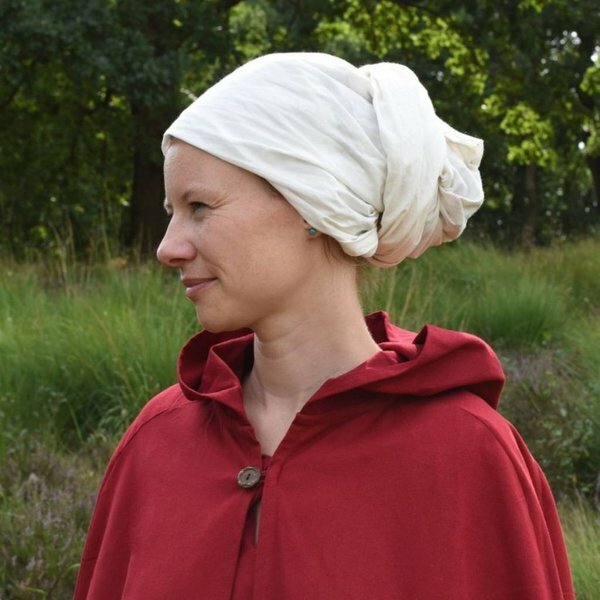 It is the perfect complement to medieval LARP, Cosplay and re-enactment costumes.